Description: M. Diatom Collection. VAM-5 is one of the varieties ideal for authentication since it has a fine, slightly slanted die scratch from the wheat leaf to the cotton leaf, as seen in the VAM Reference. 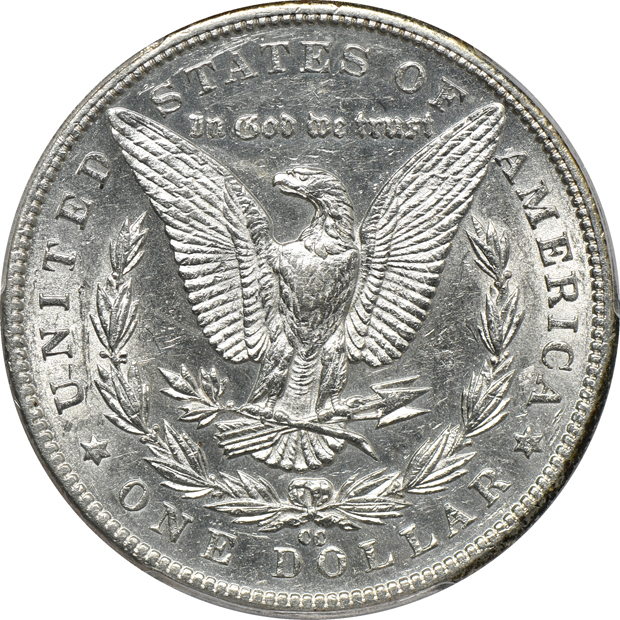 Due to the brightness seen, as viewed from either side, the PCGS AU-53 grade will happily allow for representation within any outstanding collection of AU/BU silver dollars. There are no large circulation marks to be found anywhere, replaced instead by several smaller contact point, including a few shallow, oblong abrasions and light reedmarks on the cheek. Again, it is important to note that all are individually unimportant marks that ascertain the grade only by their aggregate effect. The reverse sees some potent luster throughout, reminiscent of the AU-55 grade level, while the obverse shows a nice path of shimmering effect traversing the peripheral area through the stars. 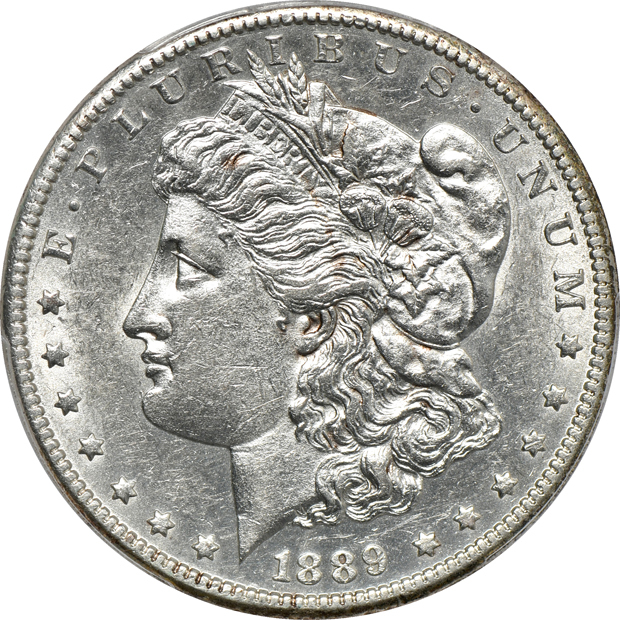 Struck from later dies, there is no evidence of the flashy semi-prooflike effect that is often seen for 1889-CC, replaced instead by the fully frosted appearance that is more typical of the classic Morgan dollar "look".